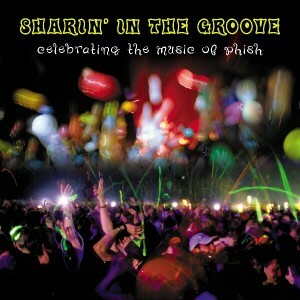 The contributors represent influences on Phish, rather than the other way around. It was produced independently on an all-volunteer basis. The artists played for free; net revenues go to music education for children. The tracks are organized like a live show, with two sets and an encore. It includes 18 genres, including rock, pop, folk, bluegrass, jazz, symphony, marching band, barbershop, punk, ambient, & drum n bass. Available online from Amazon, CDBaby.com, and Homegrown Music Network, as well as digitally (the entire album or individual tracks) from more than seventy (70!) digital download services, including through iTunes, MSN, Napster, Rhapsody, Liquid, MusicNet, MusicNow, MIH, GIM, Bitmunk, PassAlong, PayPlay, Tradebit, and Muze. Every purchase helps support fabulous programs providing music education for children, and it couldn’t be easier – just click the album above or the tracks below. You can make a difference – and we can’t help anyone without your support! If you already have the album, and don’t know anyone for whom it would make a good stocking stuffer, you can still pledge support through a Paypal donation. Either way, we sincerely appreciate your support for music education for children!